The national unemployment rate is 5 percent, but this number does not include employed people still looking for THE job. With that being said, what can you do to get a leg up on the competition? And let’s be honest, competition is what it’s all about, right? Each person that applies for THE job (the one you want) should be considered your rival. So, how do you stand out with a potential employer and knock your competition back on their heels? The answer is simple. Certifications. If you are applying for a position in sales or marketing, a certification from SMstudy will put you one step in front of your peers. A certification shows prospective employers that you are passionate about sales and marketing and an added perk- the training will give you the confidence you need to ace that interview. 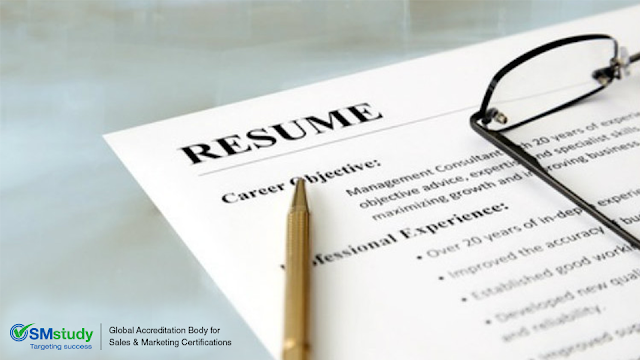 Adding certifications to your resume also demonstrates that you are able to work hard towards a goal and finish it successfully, something employers consider carefully. If you are able to set your sights on a goal, work towards it, and achieve it. You will ultimately master a new body of knowledge. Or in the case of SMstudy, a Sales and Marketing Body of Knowledge. Technology has changed the way people reach, interpret, and react to information. Therefore, companies are searching for new ways to broaden the scope of sales and marketing thanks to the ability to reach their consumers through the Internet. Given these new forms of buyer-seller options many professionals believe that the information age, brought upon by technological advances, has redefined the roles of sales and marketing. With this information in mind, why wouldn’t you want to earn a certification in sales and marketing with SMstudy? I can’t think of one.